An exercise designed to rehearse procedures in case of a basewide lockdown at the Marine Corps Air Station Miramar is scheduled Tuesday, officials are reporting. 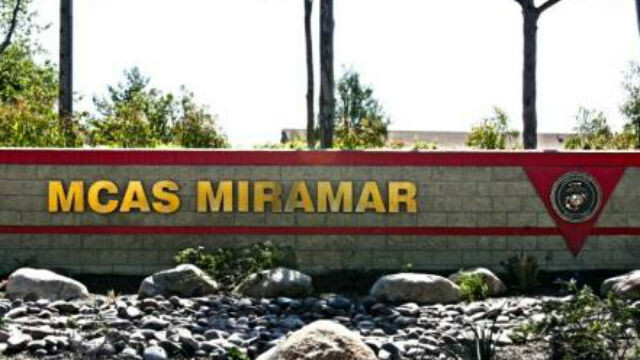 “The exercise is an opportunity for Miramar personnel, family members, retirees and visitors to practice lockdown procedures in the case of a potential emergency,” according to an MCAS Miramar statement. All base entry and exits gates are scheduled to be closed for a temporary period during the exercise, and as a result there may be slow traffic around the facility. “Military police will monitor and diligently work with local law enforcement to reroute and mitigate traffic related issues outside the gates,” the statement continued. Military police will also restrict traffic flow on the base and personnel will be subject to military checkpoints during the exercise, according to officials. Nearby residents may hear announcements over the base speaker system during the exercise. Officials did not disclose the scheduled time of the exercise.